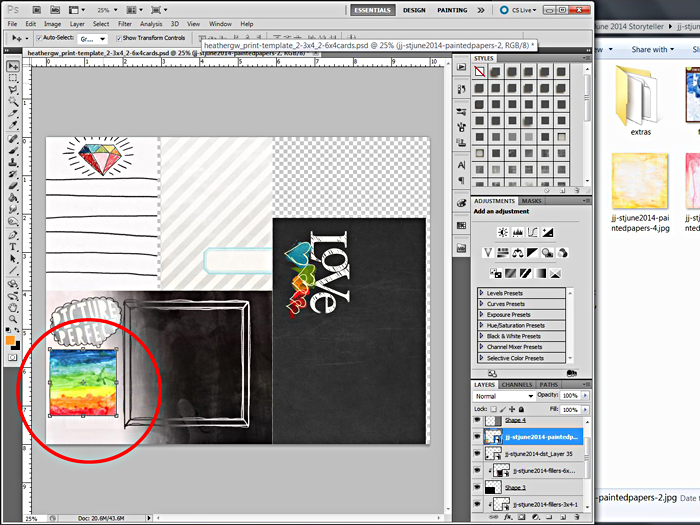 Last week I shared how to blend papers and journal cards together in Adobe Photoshop. 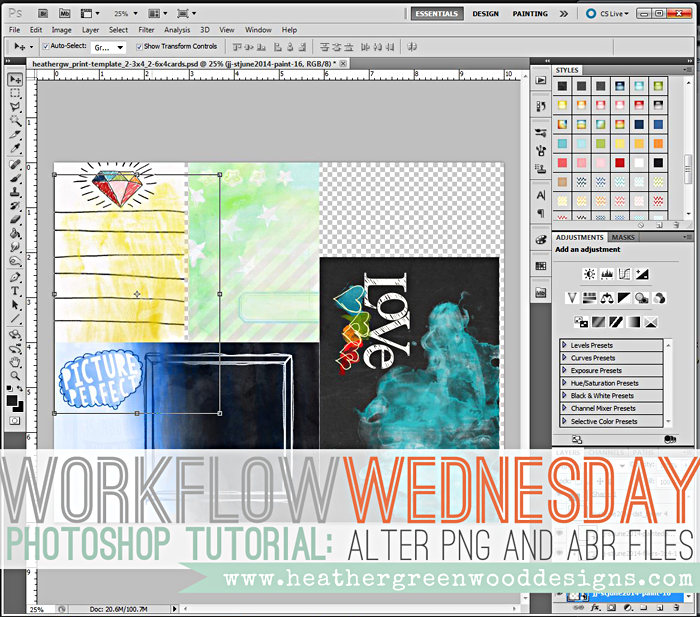 This week I'm going to show you some basics for using .ABR brushes, PNG stamps and cut files. This is going to be a long tutorial, but keep with me. I've just got lots to show you and several different ways to work with the files. They are all really simple. 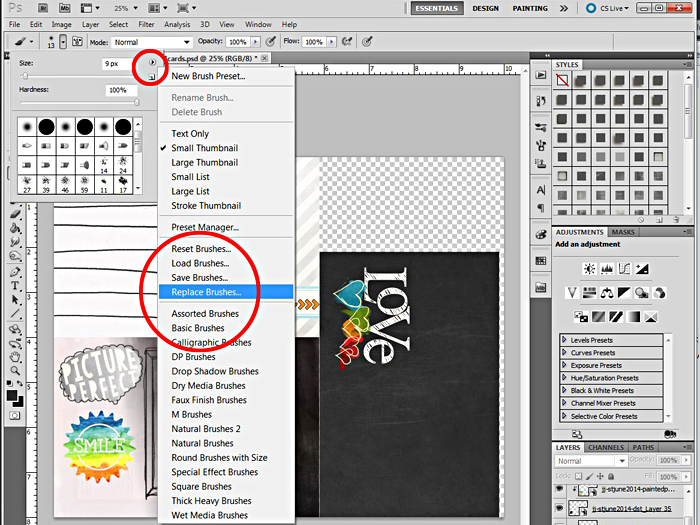 There are just so many things you can do in Photoshop and this just scratches the surface. Next year, I'll likely get more in-depth with using them. 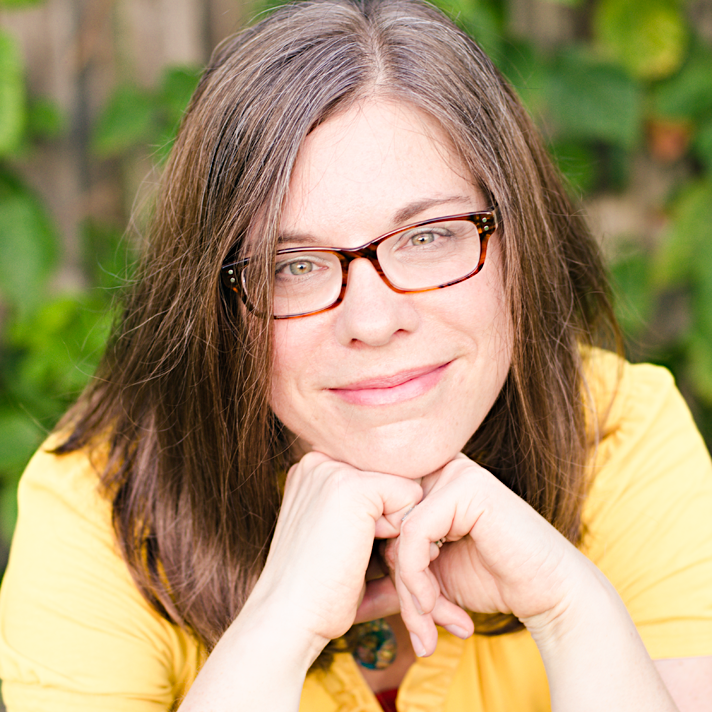 Again, I'm using Just Jaimee's July 2014 Storyteller Collection. This collection is HUGE and she has an amazing deal for her newsletter subscribers, so be sure to head over to her website to sign up, if you haven't already. 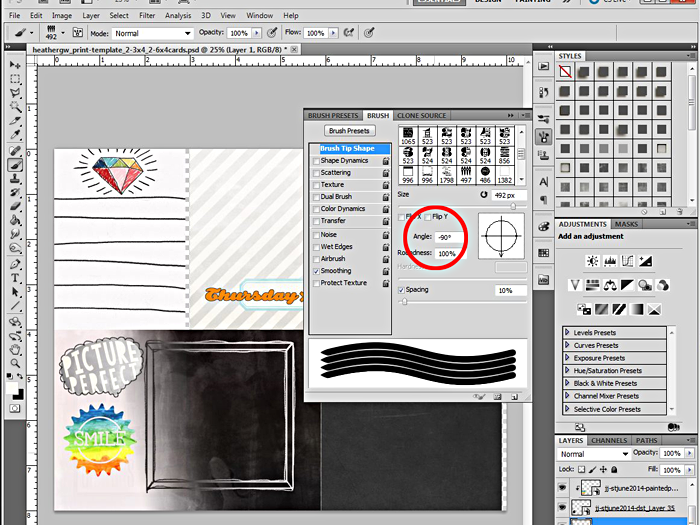 Our first example will use the PNG files similar to how you use the hybrid print templates. 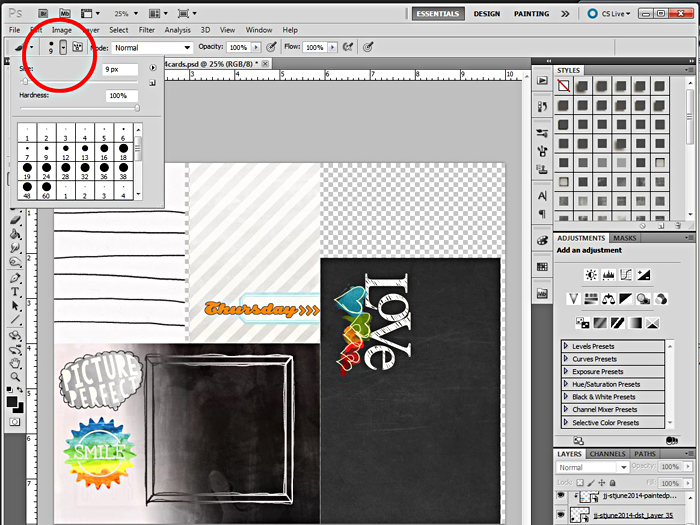 Just like you clip a paper to the template, you're going to do the same for your stamps or brushes. 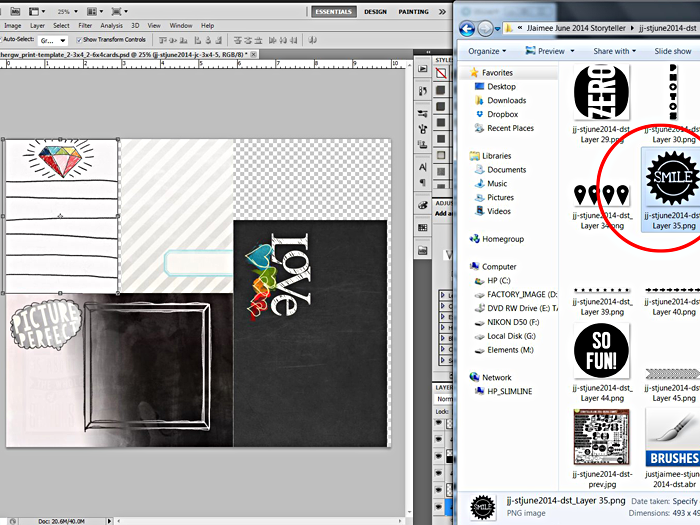 Just like before, I have my folder open to the right of my Photoshop screen. This makes it really easy for me to drag and drop what I want on the page. For this "Smile" stamp, I wanted a painted look to it. I really love this rainbow paper in the collection and thought it was perfect. Once I dragged it over to the top of the "smile" stamp already in place, I made the size of the paper smaller by clicking and dragging on the corner of the transform box while holding down the SHIFT key. 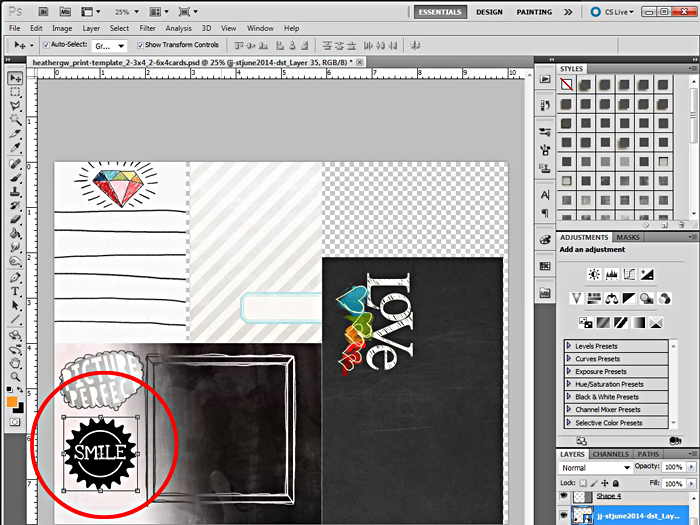 Make sure your paper is right above your stamp in the layers palette. Once I like the size of it, I'll clip the paper to the stamp. 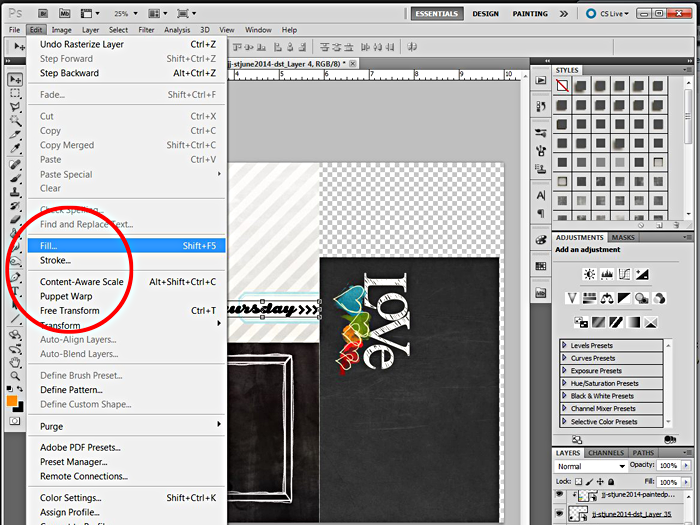 We've done this before in the "how to use the hybrid print templates" tutorial... but to review... there are three options I use. 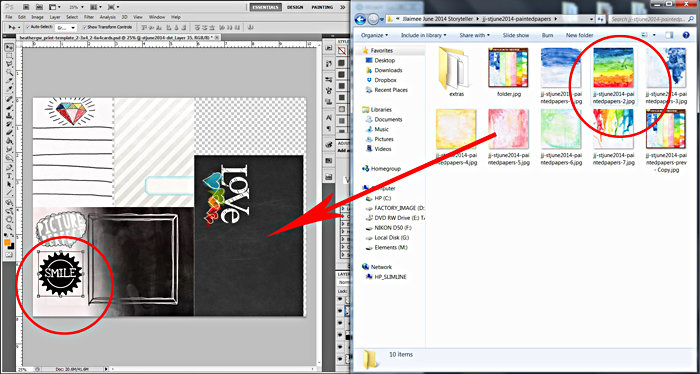 Again, we're going to drag and drop the file we want to use over the top of the card and position it where you want it. The first thing you'll need to do is to "rasterize layer". 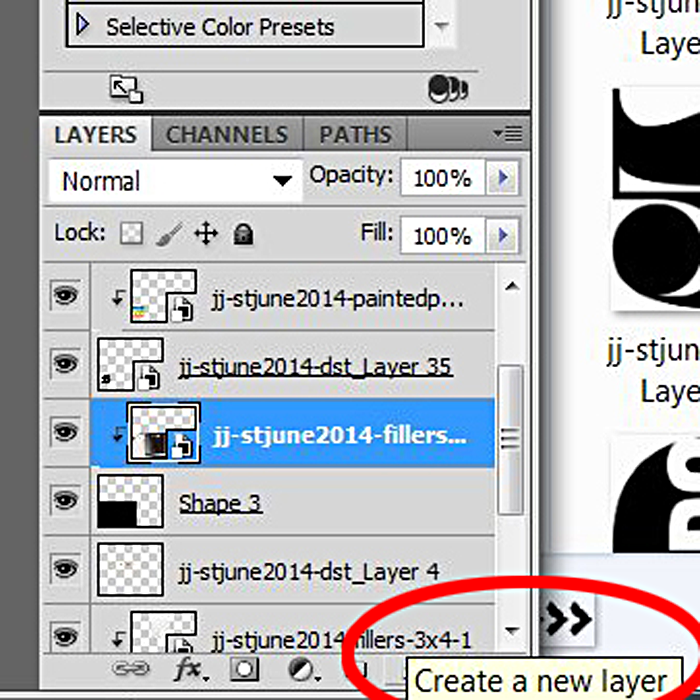 Find your png file in the layers palette and make sure it's highliqhted. 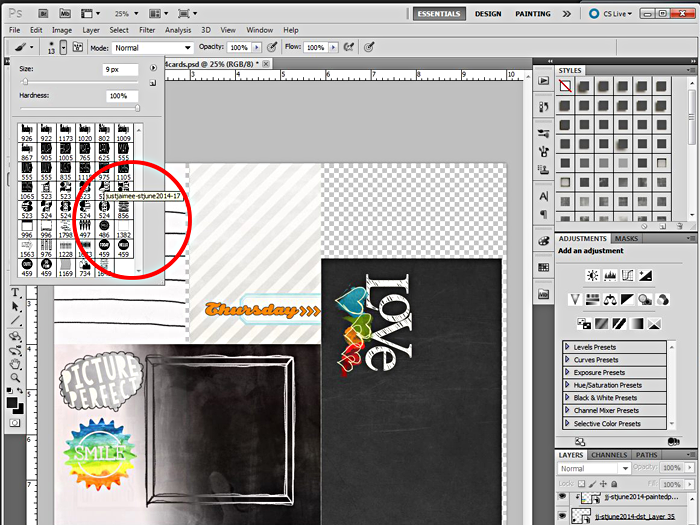 Right click on the layer and choose "rasterize layer". 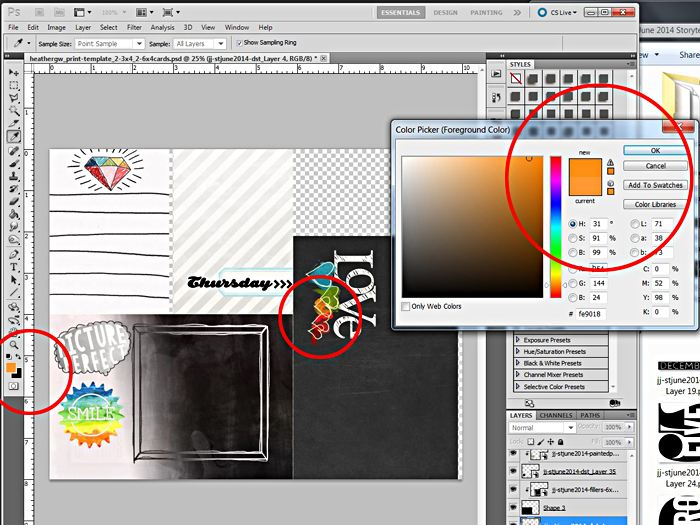 Next, we want to change the foreground color using the color picker to pick a color from the collection that we want to change it to. We'll click on the top box in our side toolbar. The color picker will pop up along with an eyedropper. Click the eyedropper on the color you want to use. (I chose an orange for my color) Then click "ok". Go to Edit >Fill (SHIFT-F5) and a box will pop up. Choose "Foreground Color" and click "ok"... make sure the "preserve transparency" box is checked so that it only fills the png and not the whole screen. 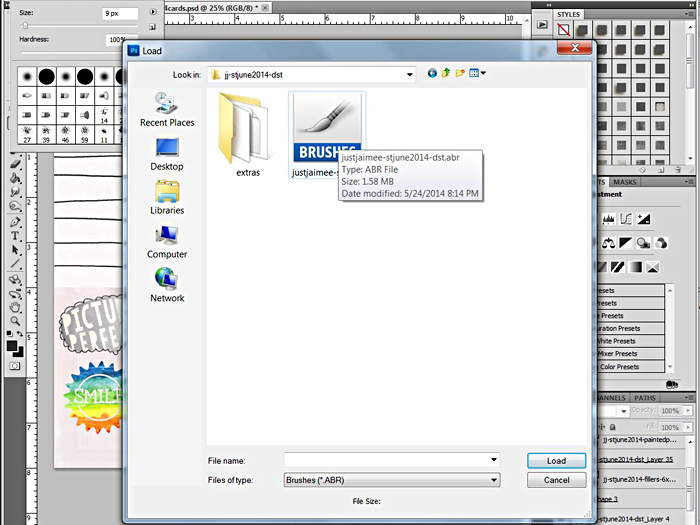 First click on the Brush tool in the side toolbar. Then click on the triangle/arrow in the upper toolbar. 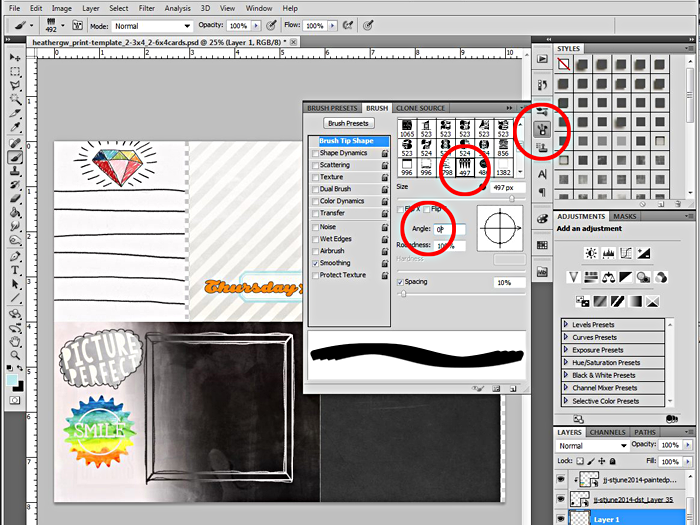 A box will pop up showing several brush tools. Then click on the triangle/arrow in the upper right side of the box and a drop down menu will pop up. Now find the folder with your ABR file in it and click on the file you want to upload. Now you will see the new brushes in the pop up box. 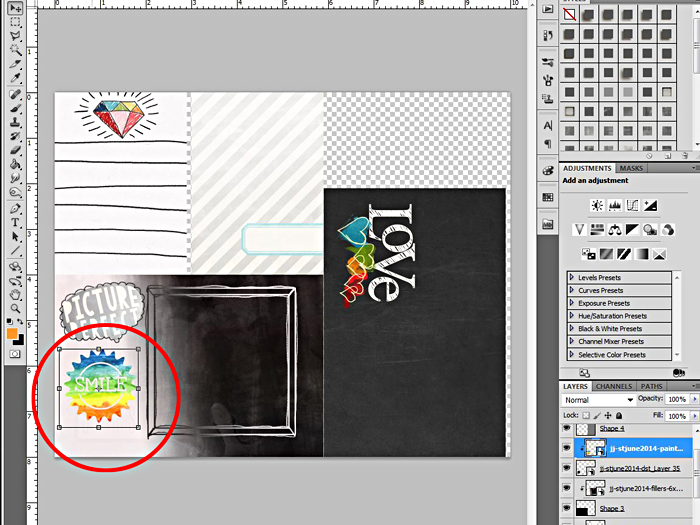 Normally, I'd tell you that you'll see an outline of the stamp you've chosen and just to click it down where you want in the new layer above your journal card. I want to change the angle of the brush though first, because my card is also turned 90 degrees that I want to stamp on. 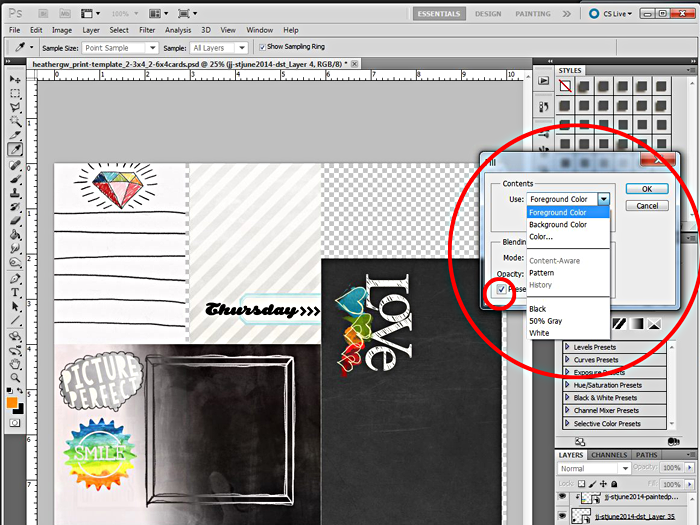 Click on the brush toolbar and a box pops up with several options. 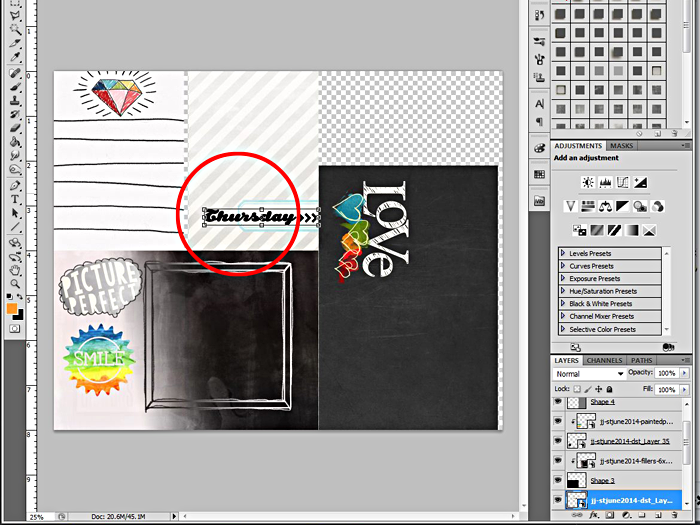 Make sure the brush you want to use is highlighted.Change the "angle" to the angle you want to change it to. If you slide your cursor over the edge of the box, you'll see an outline of what it looks like to see if it's the correct angle. I changed mine to -90 degrees to make it face the correct way in this example.Then click on the double triangle/arrows in the corner of the box to close the blog. You will see the outline of the stamp. 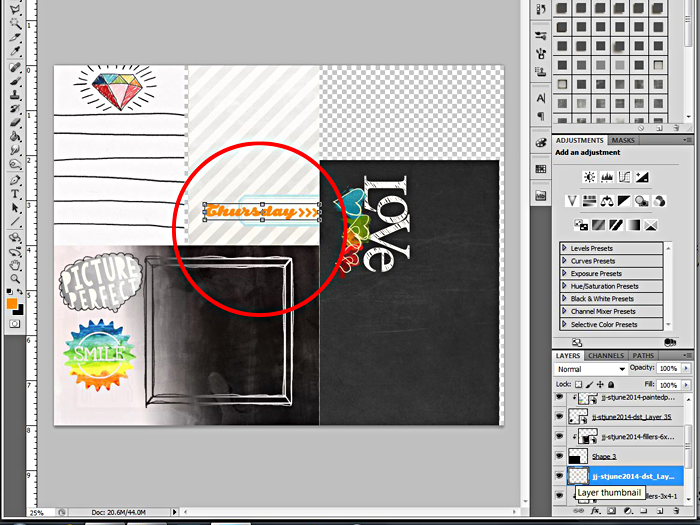 Then stamp it down on the new layer above the card you're stamping on. This will show up as the foreground color, but you can change the color if you want, just like you do earlier in this tutorial, changing the color with "Fill" color. 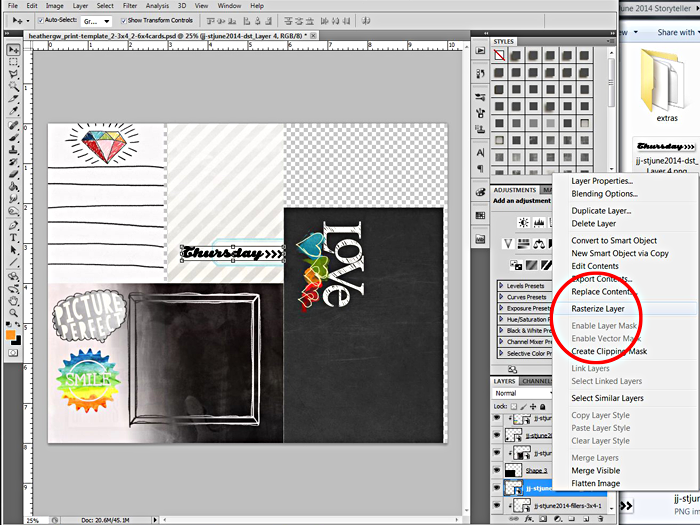 The easiest way to add digital brushes is to drag and drop them onto the paper or journal card. I love that Jaimee includes a set of coordinating paint brush strokes in her collections. 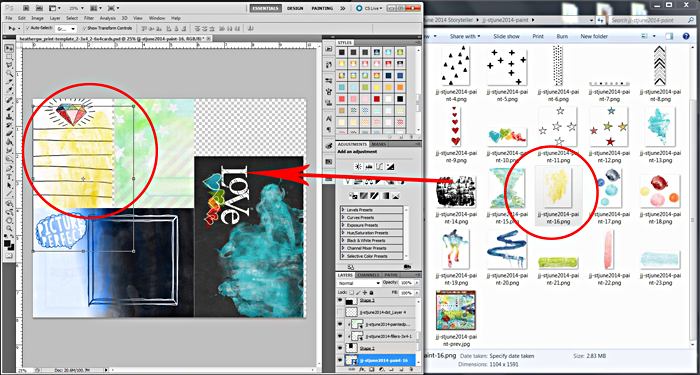 It makes it so easy to just add digital paint to your cards without the mess of real paint. 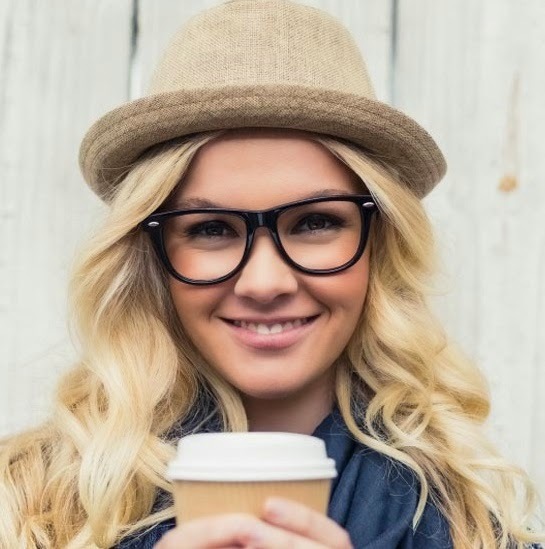 I have to tell you there are sooo many ways to do all of this. 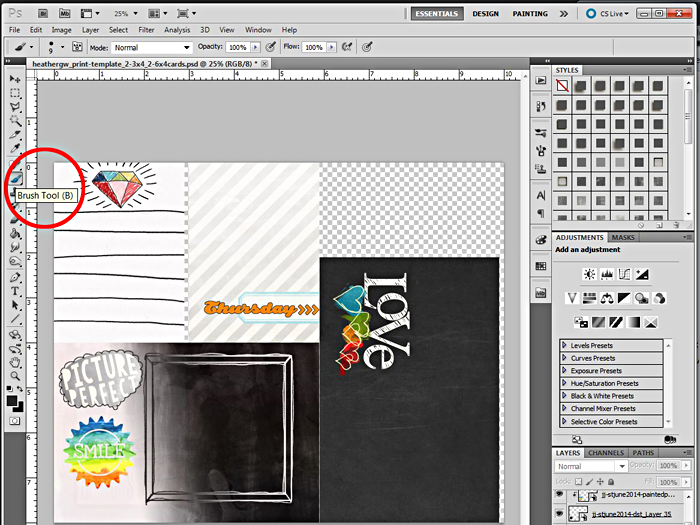 This is just a start and I hope it helps you to use your digital brushes and stamps in new ways. Let me know if you have any questions, I know there is a lot to absorb here. I promise you that just playing around is the best way to learn. 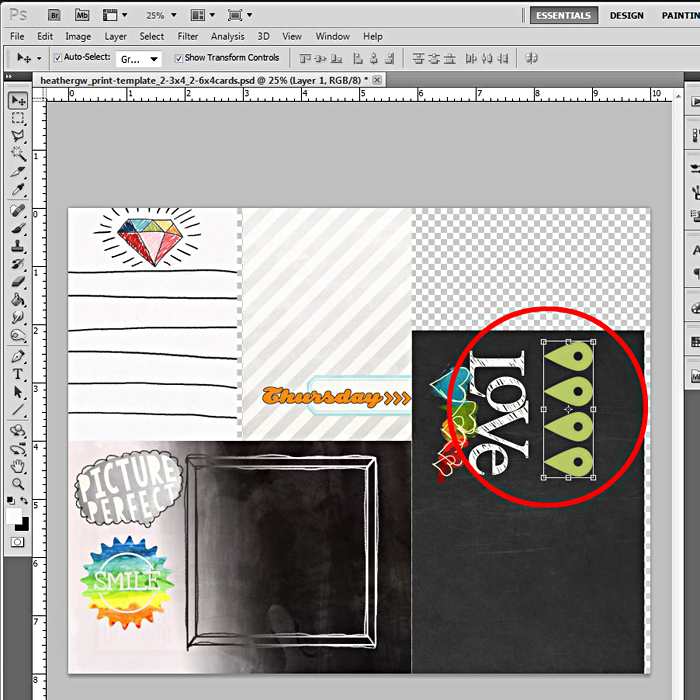 Next week I will show you how to use the fx styles that are in Jaimee's collections. 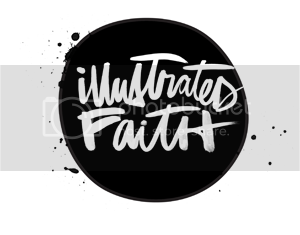 They are super easy to install and super easy to use and really give your stamps and brushes some fun textures.